As an ophthalmologist for more than 25 years, I performed cataract surgery for well over half of those years. I counseled thousands of patients during that time on the benefits and risks of the procedure. But when I was diagnosed with "early" cataracts at 55 years young, I found that my most difficult counseling challenge was myself. For one thing, I was now considering going against the very advice I usually gave my own patients. I always was a very conservative cataract surgeon. This meant waiting until a patient's visual acuity was at least 20/50 or worse before I had the serious discussion with them regarding possibilities of cataract surgery. Charles B. Slonim, MD, had his sight restored with cataract surgery. During these consultations, many people with cataracts were dismayed to learn that surgery is their only option for restoring sight. The eye's cloudy natural lens must be removed and replaced with an artificial one, known as an intraocular lens or IOL. was 20/20 to 20/25 as measured on an eye chart. However, my recent personal experience taught me how the quality of our vision can deteriorate with cataracts even when the eye charts tell us that we supposedly can see "just fine." Before, I always had 20/20+ visual acuity without glasses. But cataracts were developing in both of my eyes, with my right eye much worse than my left. In my exam chair, I still could see the 20/20 to 20/25 line on the eye chart without much problem. In other words — and as I would always tell my patients in the past — I supposedly could see "just fine." But about a year before deciding to have cataract surgery, I performed very poorly on a contrast sensitivity test when a glare source (bright light) was directed toward my eyes during the test. This means that scattered light and other interference from cataracts clouding my eye's lens were making it much harder for me to distinguish objects from their background when the contrast between the two wasn't starkly black and white (like letters on a standard eye chart). And closing my left eye made me feel as if I had a piece of wax paper in front of everything I saw. This view became even more opaque as time went by. Notwithstanding these symptoms, the eye charts still said I could see "just fine." The central blurriness and haziness in my right eye had rendered me almost monocular or "one-eyed." I became left-eye dominant, because I still could see through this eye, where the cataract was not nearly as bad. These complaints I voiced in the operating room were similar to those I had once heard from patients with "early" cataracts who protested that they required a lot more light to read comfortably. But the eye chart still said I had 20/20 to 20/25 vision, and that I could see "just fine." So I hesitated, and followed the advice I almost always gave my cataract patients. Like any other ophthalmologic professional, I knew too much about cataract surgery, especially those "few and far between" complications. Why take any kind of risk unless I absolutely had to? And besides, I could see "just fine" — with occasional visual frustrations. 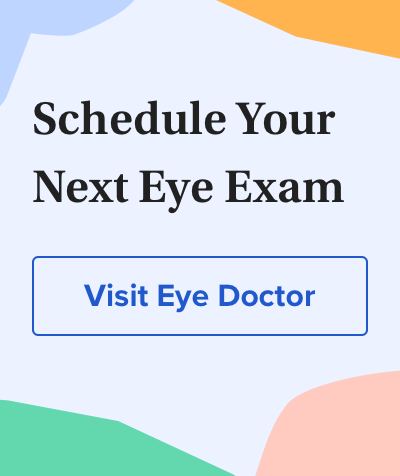 Particularly if you are older, always have regular eye exams to check for cataracts or other age-related eye diseases. It's well known that doctors make awful patients. For one thing, I knew far too much about the delicate body part upon which I was about to have surgery. I also had seen too many videos at conferences that illustrated "things gone wrong" during surgeries. I lectured myself about the importance of being a "good" patient, and not one of those dreaded "doctor" patients. I told myself that I would leave the choice of techniques strictly up to Steve. My choice of a monofocal intraocular lens (IOL) vs. a "premium" multifocal IOL was simple. My biggest complaints with the cataract were glare and halos. Because most of the visual complaints of patients who have premium IOLs result from the optics, I didn't want to take the chance of continuing to have glare and halos with a multifocal lens. I actually became somewhat excited about the idea of exchanging my cataractous lens for an aspheric IOL. I had been intrigued to read that the optics of aspheric lenses may be superior even to those of the eye's natural crystalline lens. On the day of surgery, while in the holding area, I asked for medication to calm my anxiety. However, I didn't want too much, because I wanted to remember the surgery and recall as many details as possible. I remember the trip into the operating room and my surgeon saying "hello" to me. I received topical anesthetic drops, and then I was prepped and draped. My surgeon then announced that my cataract was removed. I looked up at that moment, and tried to see what vision was like without a lens (aphakic). But I still couldn't make out any details. Everything looked the same. This condition results when a constant light aimed into the eye causes the photoreceptors to work overtime, without a chance to recover and replenish light-sensitive photopigments (chromophores). This creates a temporary situation where the photoreceptors are "bleached" or left without pigment needed for good vision. Because of the medication I had been given, I don't remember being in the recovery area for the obligatory 10 to 15 minutes. But my memory vividly restarts at the point where I was sitting in the chair in the discharge area. Distant images were still blurry. Unfortunately, I decided to look down at my identification wrist band and noticed that the "Charles Slonim" name was crystal clear. "Oh @$#%&," I thought. "Now I'm myopic (nearsighted)! I have the wrong implant power. Someone made a mistake!" By mid-afternoon, my vision quality had improved dramatically. But my visual acuity still was less than expected. I wanted what the television and radio ads promised: "off-the-table 20/20!" I was still more myopic than emmetropic, and I was unhappy about that. I woke up on the first day after surgery and could not wait to remove my eye shield. My vision was a little more blurry than the day before, and I tried to explain this as overnight corneal swelling resulting from hypoxia (low oxygen) to the eye. Different factors can cause this, including stagnant tears that aren't blinked away during the night. Regardless of the cause, this kind of swelling can cause a greater myopic shift. I equated my new vision to the day I had purchased my first high-definition television (HDTV). It was like looking at the world on an HDTV with my right eye and an old analog (cathode ray tube) television with my left eye. At this point, the "wax paper" sensation appeared to be in front of my left eye, which I had never noticed before the surgery on my right eye. And the left eye supposedly had been my good eye. And, to this day, my "monocular 3-D" vision has continued. The overhead lights were so bright that I had them turned down two levels. This was not because of light sensitivity, but because I could see everything so much better that I did not need the extra wattage. And when I needed to use my headlight for one case, the halogen beam had returned to a bright, white light that I didn't recall noticing before. I even finished the day earlier than scheduled. My first "visual complication" occurred on the fourth and fifth postoperative days. On the fourth postoperative night, every point source of light (such as street lights, red tail lights, oncoming white headlights) had two sharply defined streaks coming off the light at 60-degree angles and opposite at 240-degree angles — a brand-new phenomenon. I started puzzling over what this meant, but I chose to wait it out before I panicked. By the eighth night, the streaks were gone. A temporary wrinkle in my posterior capsule (the back part of the "bag" holding the eye's lens) probably had caused the problem. One month after surgery, I examined a 75-year-old woman who has been my patient for more than 20 years. She had developed "early" cataracts that I had been monitoring for more than a decade. During her visit with me the previous year, this patient had 20/40 vision in both eyes and moderate cataracts. I had previously documented how surprised I was that she could actually see as well as she did with her cataracts. The eye charts, minus any other type of testing, confirmed then that she could see "just fine." And even on this day, she told me she could see "just fine." On this occasion, I didn't suggest cataract surgery; I insisted that she have cataract surgery. I suggested that she could benefit by seeing better to drive, but I insisted that she needed to see what I was seeing to enjoy her life better, beyond what she always had accepted as seeing "just fine."